From long forgotten tombs comes Mummy Claus! Traveling with help from his eight canopic Reindeer jars, Mummy Claus bears ancient gifts, and curses! Thousand year-old curses! 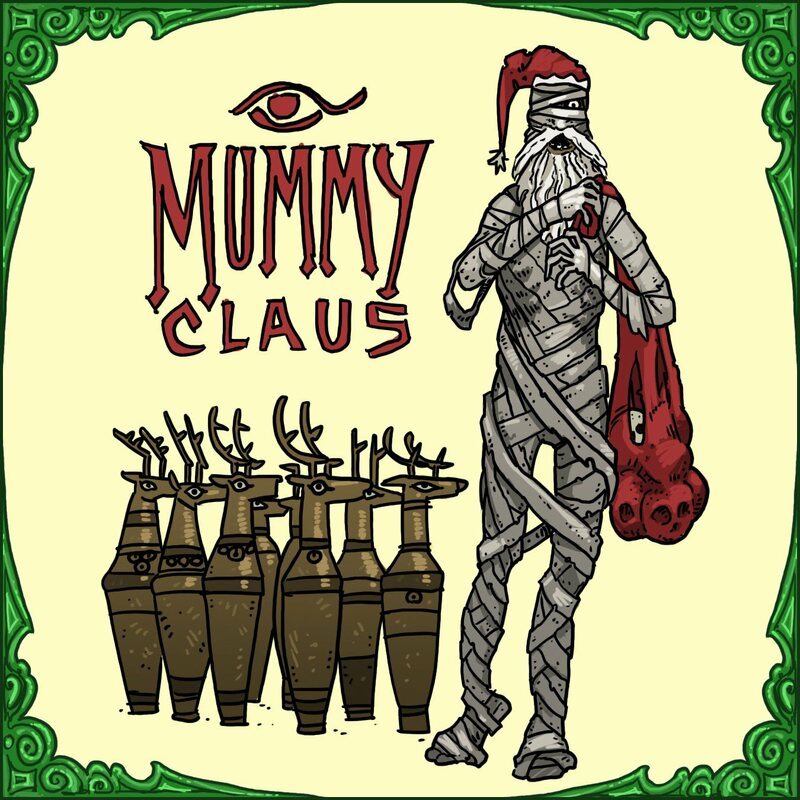 Mummy Claus is shuffling to town. The eight canopic reindeer elevates this from amusing to sheer genius. You sure he's not shambling into town? I'm thinkin' he's a shambler. The other one's were fun. This one is great. It made me smile...and then think of some interesting story lines. This one's amazing! I especially love the canopic reindeer jars. Love the jars, and the idea of santa bringing curses rather than just coal. Are you sure this one won't make it into a story? A picture book story for little kids? Are you insane? oooo egyptian gods as elves!!! The first thing I thought when I saw this was "Sarcopho-claus." And I'm really glad this are failed to begin with. Ewww! Hey, my wv is "insubmar." Doesn't that just make you think of "Scuba-Claus?"